A wedding is wonderful occasion to celebrate true love and all the joy it can bring with your nearest and dearest. This is why Stonehaven Flowers have invested a great deal of time and effort into creating a wonderful selection of wedding flowers for you to choose from. The florists in Stonehaven recognise that everyone has different tastes, which is why we have split our wedding flowers selection into smaller categories for you to browse more easily through a selection of flowers which suit you. This page of or site is dedicated for you to see all of the glorious white wedding flowers we are able to offer here at Flowers Stonehaven. The florists in Stonehaven have over 40 years of experience in the floristry industry, which is why we can guarantee that your special wedding flower arrangement will be crafted with a skill and expertise which is difficult to find elsewhere. The florists only use the freshest, high quality flowers for all of our flower arrangements, and the wedding flowers are no different. 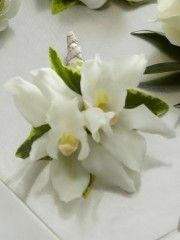 We recognise that your wedding flower order with us is extremely important, and we will always treat it as such. If you cannot find anything to suit you in the elegant whites collection, feel free to consult our bespoke flower arrangement service which we offer at Stonehaven Flowers. We would be delighted to offer you a one on one wedding flower consultation so that you are able to specify everything you’re looking for with one of our experienced florists. Once you have ordered your wedding flowers with us, our dedicated team will carefully over see your order until it has been safely delivered to you and you are satisfied. 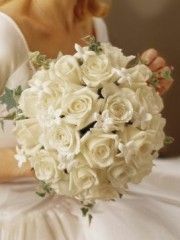 For beautiful white wedding flowers, look no further than Stonehaven florists today. The elegant white wedding flower collection is one of grace, sophistication and beauty from the expert florists in Stonehaven. 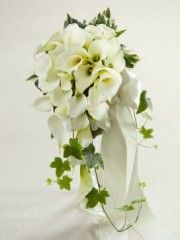 White is a classic choice of colour for wedding flowers, as it will perfectly match the beautiful bride. Amongst the elegant white flower collection range we offer a variety of bridal bouquets, corsages, boutonnieres, and decorative flower arrangements for all of your wedding flower needs. The florists in Stonehaven are also able to help set up any wedding flower arrangements necessary at a local venue, ensuring that your wedding flowers will be just as perfect as you want. Flowers Stonehaven operates a fantastic local flower delivery service in Stonehaven and the surrounding area, which means that you can count on us to deliver your wedding flowers to you with speed and efficiency. The florists in Stonehaven understand that organising a wedding can be an extremely stressful time, which is why we aim to make ordering wedding flowers with us as easy as possible. The Stonehaven flower delivery service will safely deliver your white wedding flowers to you on the big day, so that you have one less thing to worry about. Flowers Stonehaven are part of the Interflora brand, which means that we are able to provide flower delivery services further afield if necessary. We deliver flowers to a huge range of locations across the United Kingdom and even abroad, as we are linked to international flower delivery services in 140 different countries across the world. 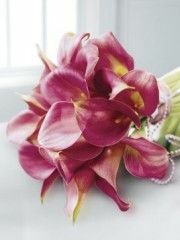 For whatever you might need, choose Stonehaven flowers for all of your wedding flower needs. Beautiful wedding flowers that you’ll remember for the rest of your life are closer than you think with Stonehaven Flowers. With a fantastic customer service in operation, and the freshest flowers possible, the florists in Stonehaven are a sensible choice for everything that you might need. The colour pink is gentle and romantic, and pink wedding flowers are sure to bring an atmosphere of intimacy and love to any wedding. Here at Flowers Stonehaven we understand that everyone is looking for different things for their big day, which is why we have split our wedding flower collection into smaller categories to help you find the perfect wedding flowers for you. A wedding is a hugely important day in someone’s life, and as flowers are an integral part of the celebration, the florists in Stonehaven are dedicated to providing the best wedding flowers possible for you. The florists in Stonehaven have over 40 years of experience in the floristry industry, which is why we believe that our skill and expertise make exceptional flower arrangements that are difficult to find anywhere else. We only use the freshest, high quality flowers for all of our wedding flowers, guaranteeing that your wedding flowers will be absolutely stunning. Should you have any difficulties finding something suitable for you whilst browsing our site, do not hesitate to get in touch with our team to arrange a one on one meeting with one of our friendly florists for a consultation. 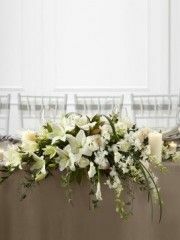 We offer a bespoke flower arrangement service, meaning that we can create a wedding flower arrangement for you which is truly personalised and unique. Our dedicated team will carefully oversee your order with us at Flowers Stonehaven until it has been safely delivered to you. 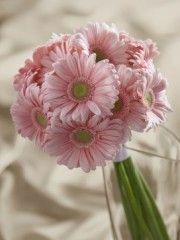 For beautiful pink wedding flowers, look no further than Stonehaven Flowers today. It’s one of the most important days of your life, which is why only the best will do for your wedding. We have a gorgeous selection of wedding flowers available here with the florists in Stonehaven, and the pink colour is a winner for a delicate and romantic touch for the big day. Stonehaven florists value clear communication with all of our customers, which is why you should feel free to get in touch with us with any queries or requests that you might have. Here at Flowers Stonehaven we realise just how important your wedding is to you, which is why we provide only the best services we have on offer for your pink wedding flower order from us. For local weddings the florists working with us are able to travel to your venue and set up any decorative flower or table arrangements if necessary. Stonehaven Flowers operates a fantastic flower delivery service in Stonehaven and the local area, and it is simple to specify a day of the week for your flowers to be delivered, so that our service is truly suitable for you. Choosing a time slot is also possible, either morning or afternoon. We are also part of the Interflora brand, which means we are able to offer a range of flower delivery services across the United Kingdom. Flower delivery abroad is also possible, as we are linked to international flower delivery services in 140 different countries across the world. 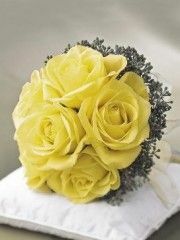 For everything you might need, ordering wedding flowers from Stonehaven Flowers is a wonderful choice. The delicate and subtle peach colour will bring a gentle and warm touch to any wedding. Ordering your peach wedding flowers from Stonehaven Flowers guarantees that they will be able add a feel of romance and true love to the atmosphere at the wedding. Here at Stonehaven florists we understand that only the best will do for one of the most important occasions in someone’s life. We also realise that everyone has different tastes and colour schemes, which is why we have split our varied wedding flower collection into different categories to make it easier for you to browse through our site. The stunning peaches selection is aptly named, as this sweet peach flower arrangements will surely leave all of your wedding guests stunned. The florists in Stonehaven have over 40 years of experience in the floristry industry, meaning that all of our wedding flower arrangements will be created with care and attention to detail, which is difficult to find elsewhere. Only the best will do for a wedding, which is why only the best and freshest flowers will do for the wedding flower arrangements that we create. We are dedicated to maintaining high standards here at Flowers Stonehaven, so if you have any feedback regarding our service do not hesitate to get in touch. Similarly, if you cannot find what you’re looking for on our site, feel free to consult the bespoke flower arrangement service which the florists in Stonehaven offer, or even book a one on one meeting with one of the florists for pertinent and useful advice. The dedicated team working at our florists will carefully oversee your order until it has been safely delivered and you are satisfied with it. For wonderful peach wedding flowers, don’t hesitate to choose Stonehaven Flowers today. Glorious wedding flowers which will leave a lasting impression are much closer than you think by ordering with Stonehaven Flowers. The peach colour of your wedding flowers will bring a soft and sweet ambiance for your special day, and are sure to wow all of your guests. Amongst the peach wedding flower selection we are delighted to be able to offer a range of sweet bridal bouquets, corsages, boutonnieres and decorative flower arrangements for you to choose from. Here at Stonehaven florists we believe in providing all of the wedding flowers that you need for your wedding day, which is why we try our hardest to accommodate whatever it is that you might be looking for. Stonehaven Flowers operates a local flower delivery service in Stonehaven and the surrounding area, so your wedding flowers can be delivered to the venue on the day of your wedding. We know that you don’t need any extra concerns in the lead up to your wedding, so we operate a prompt and reliable flower delivery service six days a week, which leaves no room for worrying. Furthermore, it is also possible to specify a time slot for your flowers to be delivered, either morning or afternoon, so that everything about the flower delivery service we offer suits you. Flowers Stonehaven is also part of the Interflora brand, which means that we offer flower delivery services further afield. We can deliver your wedding flowers to a huge variety of locations across the United Kingdom, and even abroad. We are linked to international flower delivery services in 140 different countries across the world, so wherever your wedding flowers are destined, we can help. 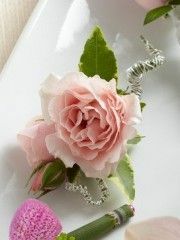 Stonehaven Flowers will provide splendid peach wedding flowers and excellent customer service that won’t let you down. A wedding is a wonderful occasion to celebrate, and here at Stonehaven Flowers we have everything that you might need available to ensure that the flowers we procide for you are as beautiful as possible for the big day. We have dedicated this page of our site especially for you to browse the pastel coloured selection of our wide variety of wedding flowers we have on offer. The florists in Stonehaven recognise that everyone has different tastes and will be looking for a specific wedding flower arrangement to suit them. This is why our wedding flower collection is categorised by different styles and colours. The pastel wedding flower selection is one of elegance and grace, with a range of bridal bouquets, boutonnieres, corsages or decorative flower arrangements which will meet all of your wedding flower needs. The florists in Stonehaven have over 40 years of experience in the floristry industry, meaning that your wedding flowers will be professionally arranged with a great deal of skill and expertise, a service which is not easily found. We use only the freshest flowers for all of our flower arrangements, so that your wedding flowers will be of extremely high quality. If you cannot find anything on our site which matches what you are looking for, please feel free to consult our bespoke flower arrangement which allows you to create wedding flowers which are as unique and original as you desire. The dedicated team at Flowers Stonehaven will carefully oversee your order with us until it has been safely delivered to you and you are satisfied. The excellent customer service we provide can only be improved with your feedback, which is why we would be delighted to hear from you with any comments. 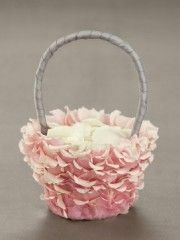 The splendid pastel wedding flower you’ve been dreaming of are close than you think with Stonehaven Flowers. The colour purple is passionate, vibrant and beautiful, which is why the florists in Stonehaven have dedicated this page of our site to the exquisite selection of purple wedding flowers which we have on offer. Their beauty and charm will make them unforgettable additions to your big day. Here at Stonehaven Flowers we realise that only the best will do for wedding flowers, which is why we are dedicated to maintaining a high standard for all of our wedding flower arrangements. We also know that people have very different tastes and can be looking for very different things for their wedding flowers, which is why we have separated our huge wedding flower collection into different categories for you to browse what you’re interested in more efficiently. 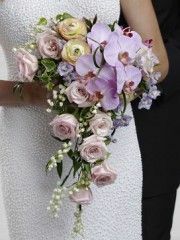 The beautiful wedding flowers you’ve been dreaming of are closer than you think when ordering from Stonehaven Flowers. Our florists have over 40 years of experience in the floristry industry, which means that the wedding flowers we craft for you will be done so with a care and attention to detail which is difficult to find elsewhere. This is one of the many reasons why we are confident that the wedding flower service we offer is better than many others. Only the freshest, highest quality flowers are used in all of our wedding flower arrangements here at Stonehaven Florists, so your wedding flowers will stay fresh and beautiful for as long as possible. The wide variety of purple wedding flowers we have on offer means that we are confident that you will be able to find something to suit your tastes from Stonehaven Flowers. However, if you are having any difficulties, so not hesitate to consult the bespoke flower arrangement we have on offer at Flowers Stonehaven for you. 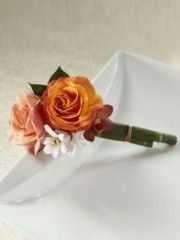 For all of your wedding flower needs, choose the service at Stonehaven Flowers today. The gorgeous purple wedding flowers which Stonehaven Flowers are sure to leave you and all of your wedding guests stunned with their sophistication, elegance and beauty. Here at Stonehaven florists our priority is suiting your needs, so you don’t need to look any further than us to provide you with everything you can possibly need for your wedding flowers. The sophisticated arrangements, high quality flowers and excellent service are a winning combination to ensure that your order from the florists in Stonehaven leaves you satisfied. We can deliver your wedding flowers to the venue on the big day, which ensures that there is nothing left for you to worry about. Our flower delivery service operates in Stonehaven and the local area six days a week, so it is easy to get in touch with us and specify when exactly you would like for your wedding flowers to be delivered. 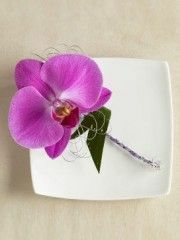 It is also simple to choose a time slot, either morning or afternoon, for your wedding flower delivery to take place. The Stonehaven flower delivery service is reliable and efficient, so you can count on us to deliver your wedding flowers safely and promptly to you. Flowers Stonehaven is also part of the Interflora brand, so we are able to offer a range of flower delivery services further afield should you require them. We can deliver wedding flowers throughout the United Kingdom and even abroad, as we are linked with international flower delivery services in 140 different countries across the world. 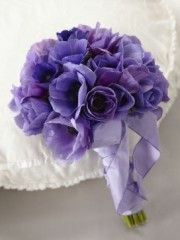 Stonehaven Flowers can easily provide you with beautiful purple wedding flowers today. Here at Stonehaven Flowers we know that a wedding is an incredibly important occasion for all of those involved, and the flowers you have for your wedding should be of the highest standard. The gorgeous wedding flowers which the florists in Stonehaven offer do live up to this standard. We recognise that everyone has different tastes and is looking for different things, which is why we have split up our vast wedding flower collection into smaller categories so that you can find the flowers you love more easily. The alluring autumn collection is perfect for anyone looking for a gorgeous wedding flower arrangement to match a seasonal wedding, or simply for anyone who likes the warm colours which autumn brings. The alluring autumn collection is sure to bring a warm, natural feel to your wedding flower arrangement, as well as making the most of what nature has to offer. The florists in Stonehaven have over 40 years of experience in the floristry industry, which means that your wedding flowers will be crafted with skill, passion and expertise. This level of service is not easily found, which is why at Stonehaven Florists we feel our service is something out of the ordinary. We use only the freshest, high quality flowers for all of our flower arrangements, and our wedding flowers are no different. We are sure that there is something to suit all tastes in the varied autumn wedding flower collection, but if you have any difficulty finding what you’re looking for, do not hesitate to consult our bespoke flower arrangement service which we offer at Flowers Stonehaven. You can also arrange a one on one consultation with one of our florists to discuss exactly what it is that you want for your wedding. Stonehaven Flowers can provide for all of your wedding flower needs and offer charming autumnal wedding flower arrangements. Only the best will do for a wedding, which is why the florists in Stonehaven will only offer you the best for your wedding flowers. The gorgeous selection of autumnal wedding flowers we offer is of the highest quality, and we will carefully craft them to suit exactly what you’re looking for. 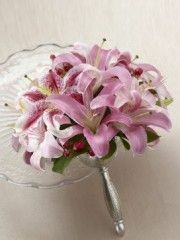 The beautiful wedding flowers you’ve been dreaming of are closer than you think with Flowers Stonehaven. We offer a fantastic flower delivery service in Stonehaven and the local area, so that we can deliver your wedding flowers safely and efficiently to you. The team will deliver your wedding flowers to the venue of your wedding on the big day, so that you have nothing else to worry about apart for the fantastic excitement which lies ahead. Our flower delivery service we offer operates six days a week, from Monday to Saturday, so you can easily specify a day of the week with our team that suits you best. It is also possible to choose a time slot, either morning or afternoon, for your wedding flower delivery from Stonehaven Flowers. Flowers Stonehaven are also part of the Interflora brand, meaning that we can offer flower delivery service further away should you require them. We can deliver your wedding flowers to a huge range of locations across the United Kingdom. Delivery abroad is also possible, as we are linked with international flower delivery services in 140 different countries across the world. Wherever your autumnal wedding flowers are destined, choose Stonehaven Flowers to deliver them safely for you. The colour red has always been a classic choice to convey feelings of passion, love and desire, which makes it a wonderful choice for the colour of your wedding flowers from Stonehaven Flowers. The glorious red wedding flower selection has a variety of bridal bouquets, corsages, decorative flower arrangements and boutonnieres for your delight. The florists in Stonehaven realise that everyone browsing wedding flowers are looking for different things, which is why we have carefully worked to split our vast wedding flower collection into different categories so that you can find the perfect wedding flowers more easily. The beautiful red wedding flowers we have on offer are so varied in style and arrangement that we are sure they will suit a variety of tastes. The florists in Stonehaven have over 40 years of experience in the floristry industry, so your wedding flower arrangement will be crafted with skill and expertise. 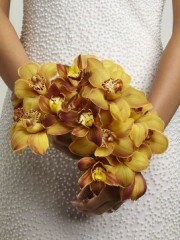 This is only one of the reasons why we feel that our wedding flower collection is surperior to many others. Here at Flowers Stonehaven we use only the freshest, highest quality flowers for all of our flower arrangements, including our wedding flowers. 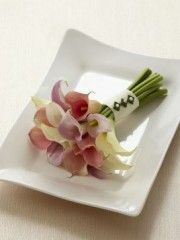 This ensures that your wedding flowers will stay fresh and beautiful for as long as possible. If you are struggling to find exactly what you’re looking for in our wonderful wedding flower selection, please feel free to consult our bespoke flower arrangement service which we offer here at Stonehaven Florists. You are also welcome to book a one on one meeting with one of our florists to discuss which wedding flowers would be exactly right for you. Our dedicated team will carefully oversee your order with us until it has been safely delivered to you and you are satisfied. 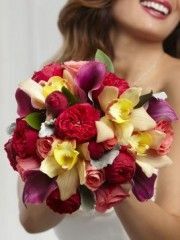 For all of your wedding flower needs, choose Stonehaven Flowers today. A wedding is an occasion to remember, and with Stonehaven Flowers by your side, your wedding flowers will also be truly unforgettable. The stunning red colour and sophisticated arrangements we offer in the passionate reds wedding flower selection are sure to delight everyone who sees them. 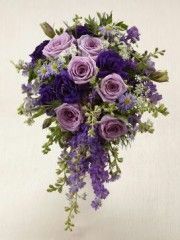 Beautiful wedding flowers are closer than you ever thought by ordering with our wonderful team at Flowers Stonehaven. Our team are dedicated to creating wedding flower arrangements of the highest standard, which is why you should not hesitate when placing an order with us. We will deliver your wedding flowers to the venue on the day of the wedding, and we can also set up any decorative flower arrangements that you might have ordered from us, to ensure that your wedding flowers will make the dramatic impact that they should. Our flower delivery service operates six days a week in Stonehaven and the local area, from Monday to Saturday, so it is easy to inform us of a day which would suit you for your red wedding flowers to be delivered. Choosing a time slot, either morning or afternoon, is also simple, as all you have to do is inform our friendly team. Flowers Stonehaven are also part of the Interflora brand, which means that we can provide flower delivery services further afield for you. We deliver flowers to a huge range of locations across the United Kingdom, and delivery abroad is also possible with our international flower delivery links in 140 different countries across the world. 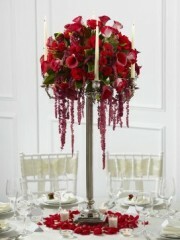 Choosing beautiful red wedding flowers and Stonehaven Flowers to provide them for you is a wonderful decision. Stonehaven flowers offer a fantastic wedding service, we have some options online but to get a good idea of what we can offer you, our extensive history and work with weddings means Stonehaven florist is a great option if you are organising the flowers for your wedding. Stonehaven florist know a how special and important the flowers are on your wedding day, and we want everything to be perfect. To get a good idea of what you want we recommend a on-on-one consultation with one of our expert florists who can help you plan your ideas, give you inspiration and suggest what we think you might like. Everything from the brides bouquet, to button holes for the wedding party to centre pieces and church arrangements, at Stonehaven florists we can help you with everything you could want for your wedding day. Whether you are having a small wedding and want something simple, or are having lots of guests and want to surround yourself with beautiful flowers, our florist can help no matter how big or small you want. In addition, if you know exactly what you want our specialist wedding florist will make sure that you have everything you want or if you are not sure or would rather leave the fine details up to us then we will happily do that for you too. 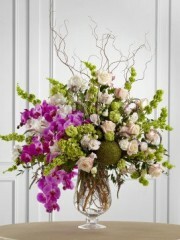 Stonehaven florist will make sure your flowers look beautiful no matter what you chose. Stonehaven florist will make sure your flowers are made up freshly on the day of your wedding to elongate the flowers life, and then we will personally deliver them directly to you, so there’s no unneeded stress!